Search engines love blogs because they can index the content in them. Blogs have searchable page titles, text link titles and engine safe URLs, not to mention relevant meaningful content, all of which means your blog will be noticed by the search engine and be more likely to draw your customers to you. Blogs are important because they offer real-life stories and tips that make your site more personable. Your blog helps you educate your customers and that makes for happier customers that understand what they are buying. Blogs help build a community on your website when people leave comments. A blogs give you (and your customers) something to share with other social media sites. 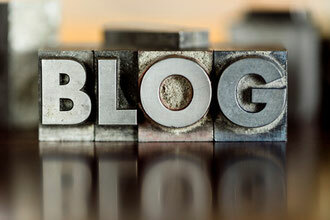 A blog is a long-term marketing asset that will bring traffic and leads to your business. It heralds you as an expert in your field and allows you to earn people's trust. Marketing research shows that blogging directly leads to better business results. But it takes more than posting occasional company promotions. A blog needs to provide relevant, helpful content that is useful to your customers. Vibrant Internet Marketing can help you design, launch and keep your blog up-to-date with relevant content that is automatically posted to your social media platforms. Contact us TODAY to get your BLOG set-up, linked and branded with social networking platforms of your choice!